A single spotlight on the stage. The crowd falls quiet. It’s mustard’s moment. “Life Hacks For Better Office Efficiency”? Not here. Not today. At long last, mustard, the tang with the texture, has the floor. Big Yellow is off the bench and making everyone proud. Roll out the red carpet! The Yellow Prince of Spice is here. No, no, no! This has no business being here. No right! Mustard has earned its place today. This man has the right idea. 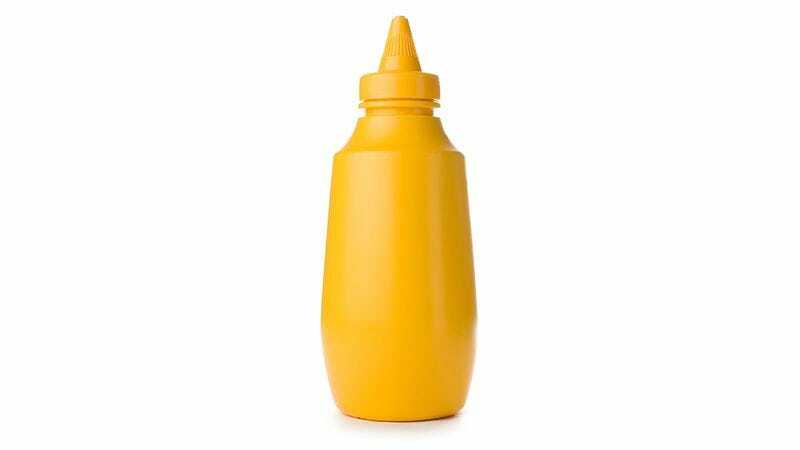 If there’s any bright side to mustard being sidelined for so long, it’s that its absence has made this return all the sweeter. The penultimate mustard. The time to close the curtains on our celebration now draws near. It was a long time coming. We will not soon forget this.